The buildup to Warriors-Cavs IV has dominated the entire season, with LeBron James and Golden State on a collision course. We've waited for this matchup, but it could be a short-lived affair. The trouble in playing the Warriors is that they will always set the rules of engagement. Opponents who resist this fact are promptly overwhelmed. Those who accept it are forced into a game or a series that naturally tilts in favor of the defending champs; Golden State's roster is built to play a very specific brand of basketball, and the vast majority of teams don't have the personnel to beat the Warriors at their own game. This is why the Rockets, who tailored their roster and approach specifically to counter the Warriors, made for such an exceptional challenger. And it's why the Cavaliers, who will tip off against Golden State in the NBA Finals on Thursday, don't stand much of a chance at all. There are four maxims that explain why. 1. The Warriors decide which bigs can actually play in a series. Traditional centers are usually the first to go. Play with enough pace and you can leave an opponent's plodding bigs behind the play. Run enough off-ball screens and side-to-side movement in your offense and many centers will get lost in the shuffle. Put enough shooting on the floor and even switching becomes untenable. The modern NBA is hard on big men, but the Warriors—by virtue of their extreme style of play—are that much more exacting. If a center can neither space the floor nor protect the rim, they become all but useless in a series against the Warriors. Even those who can do one of those two things competently might not prove especially helpful. 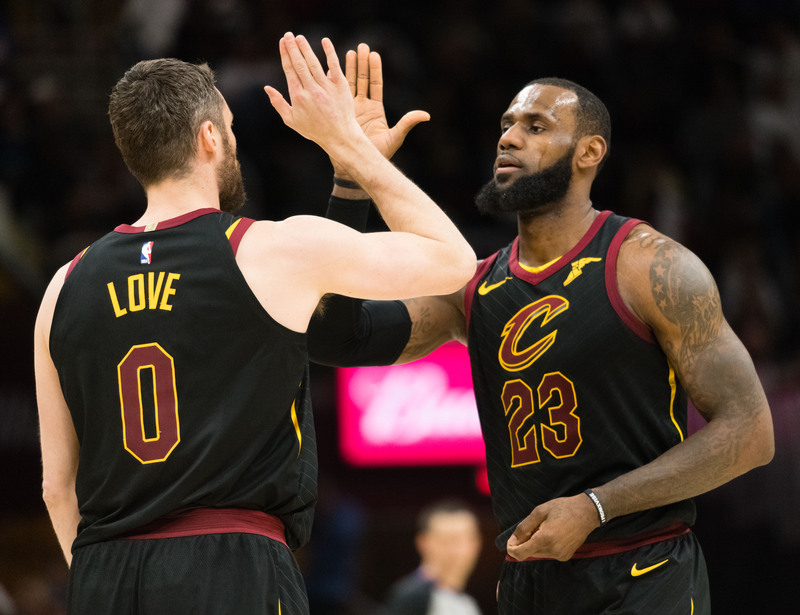 Kevin Love, for example, turned out to be a complete liability in the 2017 Finals between these same teams; Cleveland was outscored by a team-worst 13.7 points per 100 possessions with Love on the floor. That's what the Warriors do to All-Stars who don't quite fit their style of play. Imagine the fate of the role players. Tristan Thompson has been essential to Cleveland's playoff survival to this point but stands to be a drag on their play moving forward. Since the 2016 Finals, the Warriors have managed to perfectly walk the line between helping off of Thompson (who isn't a threat to score beyond the restricted area) and keeping him boxed out when a shot goes up. Thompson isn't big enough to get the better of Draymond Green on any kind of consistent basis, meaning he crowds the lane without offering all that much. (Larry Nance Jr. will likely encounter this same issue.) To make matters worse: the Warriors cooked Thompson when he switched out to the perimeter during last year's Finals, erasing his most vital contribution to this matchup. As with Love, the Cavs were outscored by 11.3 points per 100 possessions in the 2017 Finals with Thompson on the court. 2. The Warriors limit which small guards can play in a series—and how many can play at the same time. With their center rotations compromised, opponents are forced to find minutes elsewhere. Some turn to their point guards—a position of notable depth across the league with more to offer against the Warriors. When faced with an opponent that both pushes the pace and defends as well as Golden State, it makes intuitive sense to get as much speed and playmaking on the floor as possible. This is the trap. Put a smaller guard on Klay Thompson (as the Spurs did in the first round) or Kevin Durant (as the Pelicans did in the second round), and both will shoot over the top without issue. Match up a smaller guard against Stephen Curry and he'll run them into screens and more easily create separation for his jumper. You may be able to hide one smaller guard on Andre Iguodala (whose status for this series is uncertain) or Shaun Livingston, but the former is an active cutter who could then score easily inside and the latter relishes the chance to post up. Beyond that: Every guard who plays in a game against the Warriors has to be focused and persistent enough to track the action away from the ball and have the requisite athleticism to keep up. You can get away with switching if you're the Rockets, who—again—customized their entire operation based on the Warriors' design. The Cavs don't have a Chris Paul or an Eric Gordon. They have George Hill, who will be stretched to the limit all series because nothing good could possibly come of playing Jordan Clarkson or Jose Calderon. 3. The Warriors all but force their opponents to dig deep into their bench for flawed or limited wing players. The more a team's pool of eligible players narrows, the deeper they are forced to plunge. If you can't rely on traditional centers, will have trouble playing more than one point guard, and need to limit the number of bigs on the floor for the sake of spacing, wings become your best bet. 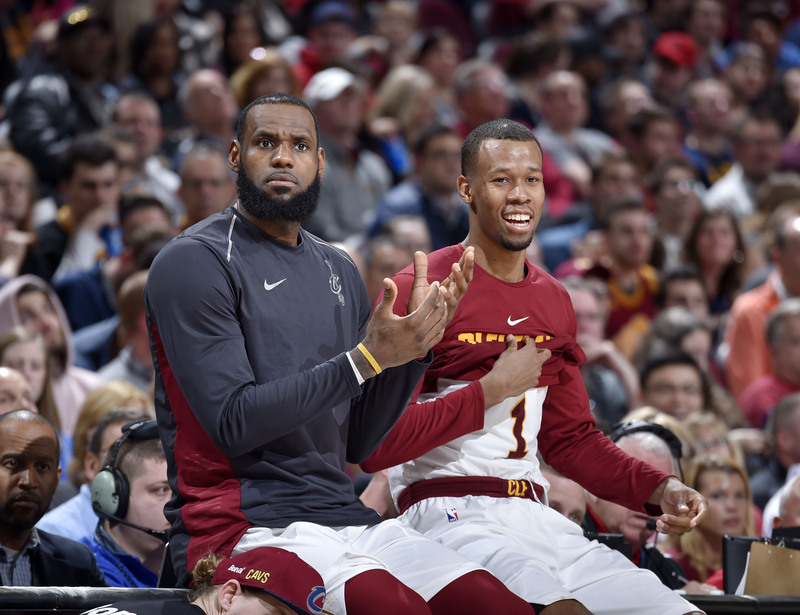 Unfortunately for the Cavs (and the rest of the league), two-way wing players may be the NBA's most precious resource. There are a finite number of quality wing players as it is. Thirty teams—most of which greatly value versatility—compete on the open market for their services. This makes it not only difficult to acquire capable wings in the first place, but prohibitively expensive. Those lucky enough to actually sign those players do so with the sort of rich contracts that don't easily stack. Good fortune and careful management positioned Golden State with an embarrassment of riches. That their best players were on rookie deals made it initially possible to sign Iguodala. A bargain extension for Curry and an unprecedented spike in the salary cap created enough room to sign Durant. When Iguodala's deal expired, the Warriors were so good they could justify paying him $48 million over three years to be their fifth-best player. They could justify bringing back Shaun Livingston and adding Nick Young with the taxpayer mid-level exception. The architecture of Golden State’s roster might not be ideal in some ways, but its five cornerstones create a lineup that few opponents can touch. The Hamptons Five is the Warriors in their element. And to combat it, teams like the Cavs have to turn to wings and forwards that are positionally better suited for the series but overmatched in every other sense. Rodney Hood has been too flat this postseason to make a difference. 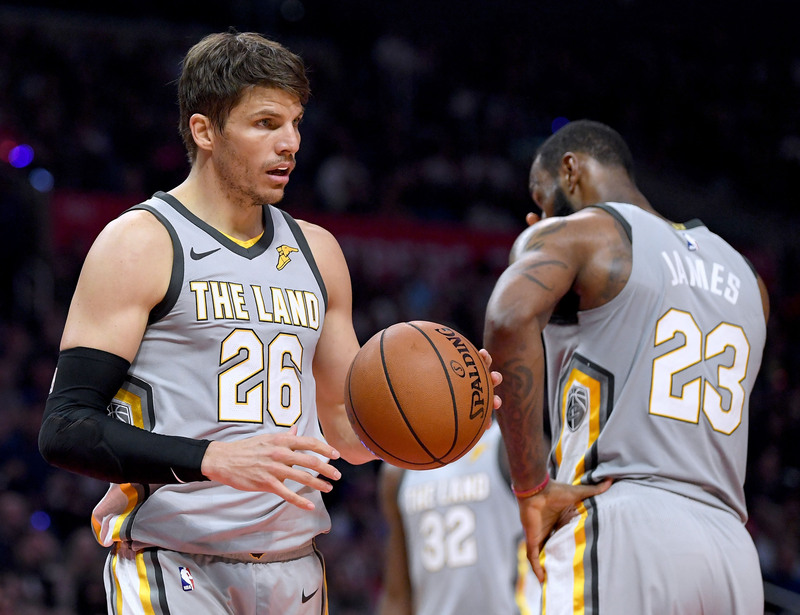 Cedi Osman brings energy, but not the kind of order needed to beat the Warriors. Even J.R. Smith seems too flimsy to be a real contributor—a designated shooter who made just 29% of his threes in the conference finals. 4. The Warriors leave nowhere to hide. By this point, Golden State has seen most every possible variation of defensive coverage and formulated an effective set of counters. Houston withstood them because of how solidly it played both sides of the switch: Bigs like P.J. Tucker and Clint Capela held their own on the perimeter, while Chris Paul and Eric Gordon pestered the bigger Warriors as much as possible. In the space between when a switch was triggered and when the offensive player would actually receive the ball, Houston would scramble into slightly better matchups—saving Paul from checking Durant by sliding in Trevor Ariza instead. Maintaining that kind of defense requires a collective ability and precision that the Cavs are just not capable of. (For what it's worth: the same could be said for about 90% of the league.) When the Warriors play their best lineups, they leave no safe haven for a poor defender. Try one against Green and his on-ball screening will thrust that defender into the spotlight. Match that defender against Iguodala and he'll burn them with back cuts and opportunistic pushes in transition. Even opponents who don't defend Jordan Bell or Kevon Looney honestly will get burned by their give-and-go screens for Curry. If you put a weak defensive player on the floor against Golden State, the action will find them. Sometimes, the Warriors will hunt them down deliberately (as with Kyle Korver). In other cases, a spotty contributor like Jeff Green will trip up as a natural byproduct of Golden State’s offense. The goal of every action in basketball is to force the defense to make a decision. The Warriors force four or five opponents to make those decisions at once, ad nauseum. There is no Marcus Smart or Semi Ojeleye or Aron Baynes to provide cover. There’s only the churn of an offense that leaves no quarter. 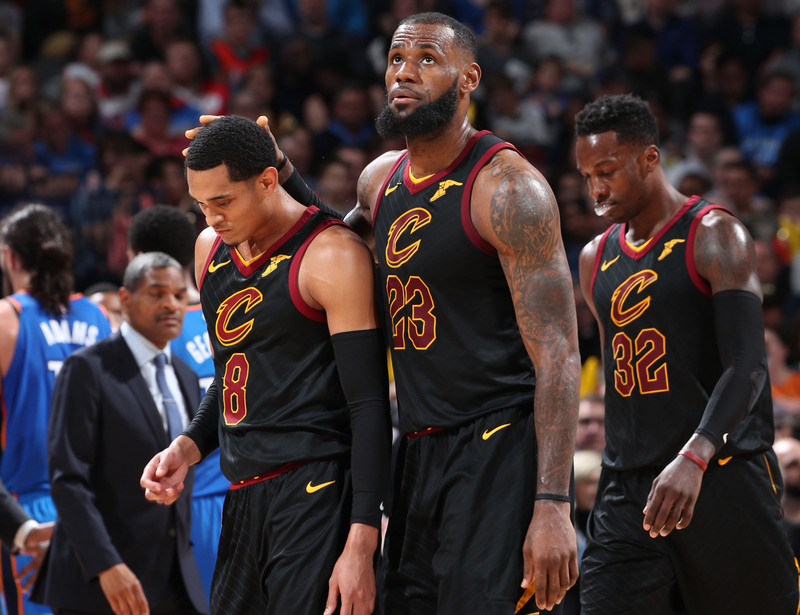 Which leaves one final look at the Cavs who might actually be viable in this series: those that won't be compromised by pace, position, lacking offense or poor defense.